Published today in PLOS Computational Biology, researchers in the Department of Zoology have used detailed computer simulations to reveal why falcons dive at their prey using the same steering laws as man-made missiles. Computer simulations of peregrine falcon attacks show that the extreme speeds reached during dives from high altitudes enhance the raptors’ ability to execute maneuvers needed to successfully attack agile prey that would otherwise escape. 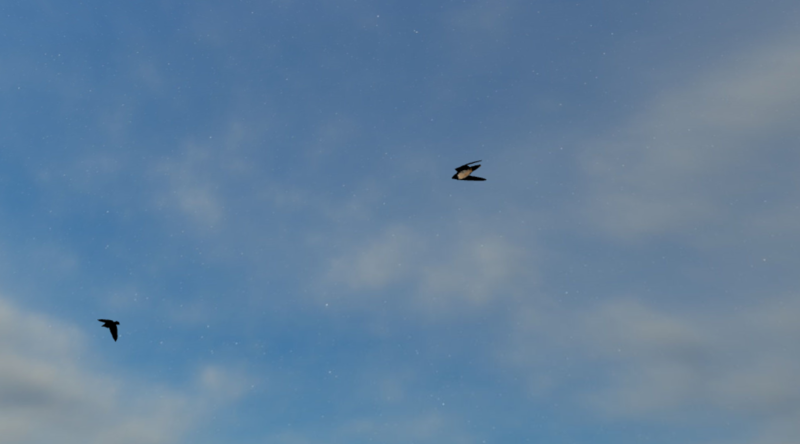 Professor Graham Taylor and Robin Mills, alongside colleagues from the University of Groningen, built a physics-based computer simulation of bird flight that pits falcons against prey. The team had previously shown that falcons attack their prey using the same steering rules as man-made missiles.